In 2020, world population has grown to 7.5 billion people, the global economy is approaching $80 trillion, and the wireless Internet 4.0 is now connecting almost half of humanity. Synergies among nanotechnology, biotechnology, information technology, and cognitive science (commonly known as NBIC technologies) have dramatically improved the human condition by increasing the availability of energy, food, and water and by connecting people and information anywhere, anytime. The positive effects are to increase collective intelligence and to create value and efficiency while lowering costs. The acceleration of technological development has opened the door to continuous and rapid worldwide economic growth and has in fact allowed the world to achieve energy sustainability using many different energy sources. The NBIC technologies are proving to be the key to a very bright future, in which machines work increasingly efficiently so that the cost of goods continues to plummet and tremendous wealth is created faster and faster for everybody. All basic necessities, as well as intellectual and physical luxuries, can be accessible to even the poorest societies, thanks to a political system that has managed to keep world peace. Space exploration, artificial intelligence, and robotics are close to a takeoff point that some experts refer to as a “technological singularity”. Meanwhile, Moore’s Law continues to hold, and computers continuously become faster and more powerful. Quantum computing, 3D circuits, and subatomic particles have given new life to Moore’s Law. It is expected that sometime soon the largest computers will have more transistors than humans have neurons in their brains. At that moment, artificial intelligence might overtake human intelligence, as some scientists suggest. That could be the beginning of an incredible scientific development, when humans can be transformed into more advanced life forms: transhumans and posthumans. In fact, already some cyborgs and clones are becoming accepted and normal in some societies, and their numbers are increasing faster than those of the so-called naturals. Biological evolution, which is slow and erratic, will be overtaken by technological evolution, which is faster and directed. Humans will never be the same, and all thanks to the great new energy mix. It all started late in the 20th century. In 1992, an official announcement by the World Energy Council (WEC) stated clearly that the planet was not running out of energy resources. 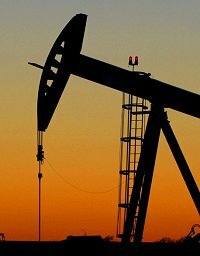 A few years later, the International Energy Agency (IEA) also ratified that there was more than enough energy, including oil and gas, to last for many decades. Such news from two recognized institutions like the WEC and the IEA openly contradicted the pessimistic views of the previous reports of the Club of Rome, which had forecasted in 1972 that the world would be running out of resources by the end of the 20th century. The major problem with the Club of Rome’s computer models and its Limits to Growth report was that they failed to consider technological change, new energy sources (all the way from deeper within the Earth to outside the planet) and resource substitution, which have been the three key energy drivers in the 21st century. After the oil shocks from the early 1970s to the late 1980s, the price of oil declined in the 1990s and even dipped below US$10 per barrel in 1998. However, during the early 2000s, a long period of under investment in the oil industry and the long and accelerating rise of China made prices escalate to US$70 per barrel in 2005. That same year a major hurricane, Katrina, hit the USA Gulf Coast and destroyed many offshore platforms plus several petroleum installations in Louisiana and Texas. Gasoline prices rose momentarily above US$3 per gallon in the USA and close to €2 per liter in some European countries. During the 2006 State of the Union address, George W. Bush, then US president, said that the USA had an “addiction to oil” and that his country should reduce its energy dependence from the Middle East by 75% in the year 2025. With rapid breakthroughs in advanced energy technologies, the best way to eliminate the addiction to foreign oil was through new technology. Since 2001, Bush had spent nearly US$10 billion to develop cleaner, cheaper, and more reliable alternative energy sources; and his 2006 plan accelerated the breakthroughs in two vital areas: how homes and businesses use power, and how automobiles are powered. George W. Bush had already made bold energy announcements during his 2003 State of the Union address, when he proposed the FreedomCAR (Cooperative Automotive Research) and the Hydrogen Fuel Initiative, which was basically a half-baked hydrogen plan with US$1.2 billion for research. 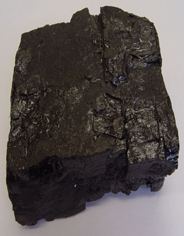 US$281 million for developing cleaner coal-burning power plants. An extra US$54 million for an experimental plant to convert coal into a gas and store its carbon dioxide emissions underground to combat global warming. US$148 million for improving solar cells. 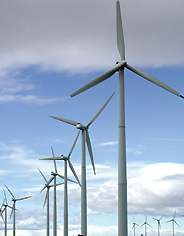 US$44 million for wind energy research. 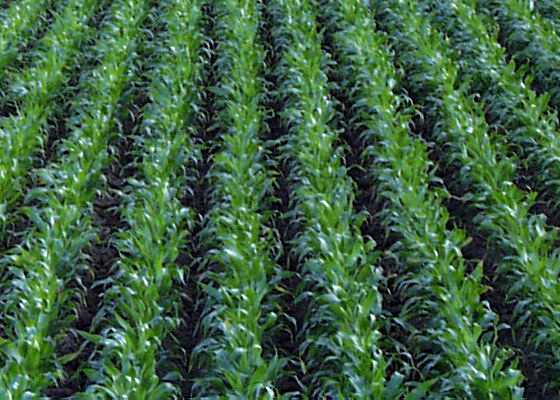 US$150 million to perfect ways to turn corn stalks, wood chips, switchgrass and various kinds of plant waste into ethanol. US$289 million for research into hydrogen fuel cells for cars and homes. US$30 million to improve batteries for hybrid cars. Most of those research projects already existed before; however, Bush increased spending on them by roughly 22%. The new subsidies for coal, wind, solar, nuclear and ethanol helped to diversify the energy sources, first in the USA and then in the rest of the planet. Since the USA consumed roughly a quarter of all the energy produced in the world at that time, Bush’s programs had a profound impact on the future of energy around the world. Also, the response by Bush to the “oil addiction” in the 2000s was very different to the “moral war” by Jimmy Carter after the oil shock of the 1970s. First, in the 1970s there were fewer environmental concerns and, second, energy technologies were not very advanced. By the 2000s, the ecological groups had advanced a lot and were a major force, but there were also many more technological breakthroughs that helped to tackle the energy problems of that time. Carter’s dreams of solar power were ahead of his time, while his support for Colorado oil shales was uneconomical then. The energy returned on energy invested (EROEI) was actually very low, which meant that more energy had to be put in to produce oil shales that what actually came out of the oil thus generated. Many years later, last month, Jeb Bush gave his 2020 State of the Union address as the 47th president of the USA. Jeb Bush was the former governor of Florida, younger brother of George W. Bush and second son of George H. W. Bush. He underlined the great progress made in terms of energy independence and energy diversification in the USA. He highlighted that even though neither the hydrogen economy nor nuclear fusion have yet come to happen, the USA is almost self sufficient in power consumption thanks to advances in biotechnology and nanotechnology. In fact, biofuels now account for over 20% of US vehicle combustibles and long-life, automatic rechargeable nanobatteries are all the rage with electric, flexi-fuel and hybrid cars. 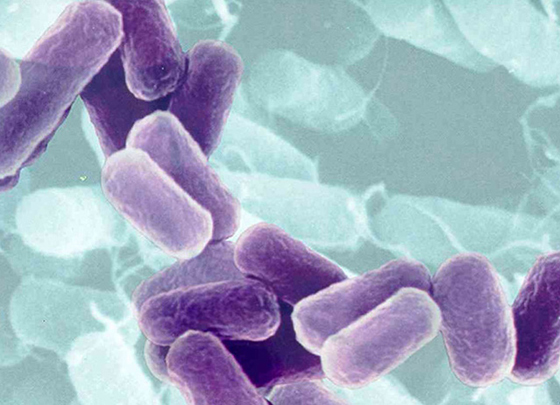 Additionally, tailor-made artificial bacteria using photoelectrosynthesis are becoming a surprisingly reliable and novel source of electricity production in the new power plants. Due to the accelerated growth of many developing nations, led first by China and later by India, global economic growth has increased 4% annually on average during the first two decades of the 21st century. From 2000 to 2020, energy demand and supply have grown by 2% annually, which means a compounded growth of almost 50% during the last two decades. This indicates a very healthy expansion of the power sector and a sustained increase in energy efficiency. Thanks to the consistent strength and cooperation generated by continuous trade and investment flows, the world economy is also headed for more growth in the following years. Such growth will particularly benefit the poorer people still without any access to electricity, which has fallen from close to 2 billion in 2000 to just over 1 billion in 2020, and electricity might actually reach everybody in the planet by the year 2040. World GDP growth of 4%, thanks to the continuous rise of China and now also India, is spreading to even poorer parts of the world. Additionally, energy intensity continued to decline, that is, the amount of energy required to produce a dollar (dinar, euro, pound, ruble, rupee, yen or yuan) of GDP. In other words, energy efficiency is increasing and less energy is needed to produce more, particularly now that so many nations are moving from industrial to post-industrial societies. Furthermore, poorer countries have been growing faster than richer countries and the economic stability is paving the road for continuous growth around the world. Fossil fuels still represent over 80% of total energy supplies today, in 2020, but the trend towards new energy sources is clear in the future. Coal production has basically remained stable between 2000 and 2020, which means that the share of coal has been reducing in the last two decades mostly due to environmental considerations in the OECD nations even with the new zero-emissions FutureGen plants (based on the Integrated Sequestration and Hydrogen Research Initiative, ISHRI program). China is still the largest producer and consumer of coal, but forecasts indicate a future decline in power plants, regardless of the existing huge coal reserves for almost two centuries. 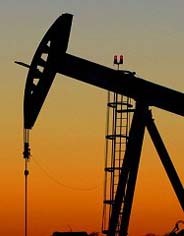 Oil has maintained an annual growth slightly below 2%, that is, just below the average world energy growth. In fact, there is still plenty of oil yet to be produced: the first trillion billion barrels of oil was produced by 2000, and the second trillion will be produced before 2030. Nonetheless, there are still close to four trillion barrels of additional oil including regular conventional oil, deep water oil, super deep oil, enhanced oil recovery (EOR), Arctic oil, heavy oil and oil shales (see Figure 1). In fact, the reserves can still continue increasing depending on future prices and technological developments, including better recovery rates and production techniques for the 1.2 trillion BOE (barrels of oil equivalent) in Canadian tar sands and the 1.3 trillion BOE in Venezuelan Orinoco bitumen, for example. 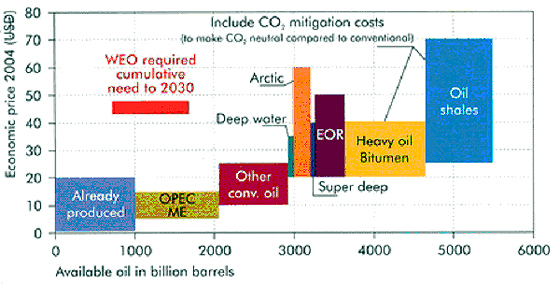 Many advances in oil exploration (4-D seismic and advanced interpretation), drilling (extended horizontal wells and complex well profiles), offshoring (deepwater drilling and floating production units), reservoir management (digital reservoir simulation and optimized drilling) and new field developments (offshore arctic and remote offtake) are continuously increasing the base of economically recoverable conventional and non-conventional oil. The price of oil still below US$ 100 per barrel is still high enough to motivate the search for other alternative energy sources. The worldwide bestselling book of 2019 was Life After Oil by Daniel Yergin, author of The Prize and founder of Cambridge Energy Research Associates (CERA). In his latest book, Yergin wrote about all the new possibilities for energy generation in a world where gas is overtaking oil as the main energy supply, and new sources of energy that will also soon overtake gas and eventually substitute most fossil fuel production in the planet. However, there will be plenty of energy opportunities for everybody in a continuously globalizing world, including abundance of solar energy in North Africa and the Middle East, bioenergy in the USA and India, and space solar power satellites in China, Japan and Russia, for example. Yergin argued again that the world will never really run out of oil, but that it will be substituted by other cleaner, cheaper and more abundant energy sources. He reminded us of the five previous times when many “experts” thought that oil was being exhausted: in the 1880s, after the first world war, after the second world war, in the 1970s with the first oil shock, and in the early 2000s with all the talk about an approaching global Hubbert peak (just like a previous Hubbert peak in the USA during the 1970s). However, Yergin showed that oil production, and even oil reserves, had continued to grow, if only more slowly, around the world, from the North Pole to the South Pole, and even below the poles. He ended quoting the famous dictum by Saudi Arabian Sheikh Ahmed Zaki Yamani: “the Stone Age did not end for lack of stone, and the Oil Age will end long before the world runs out of oil”. In fact, in the early 2000s, BP, formerly British Petroleum, rebranded itself as Beyond Petroleum and starting working on solar energy and biofuels. That was a clear sign of how oil companies transformed themselves into full energy companies, leaving behind their humble beginnings in the restrictive petroleum fields. By 2020, gas production has indeed caught up with oil production. Supply of gas doubled between 2000 and 2020, and it overtook coal production in 2016. Now, according to most forecasts, other energy sources will also catch up in the 2030s with gas and oil, which are both declining relatively. Even though there has never been any continuous shortage of coal, oil or gas, except for small local production problems sometimes caused by political disruptions or weather factors, the era of fossil fuels does seem to be reaching its zenith and might end in the following decades. Indeed, other energy sources, including some not even considered today, will apparently be the dominant sector in the USA by 2040 (see Figure 2). These energy “waves” will also be seen soon in most of the world. They show a clear “decarbonization” trend going from hydrocarbon fuels with more carbon to those with more hydrogen: first wood, second coal, third oil, fourth gas and maybe eventually pure hydrogen and solar energy (based precisely on hydrogen). Outside fossil fuels, nuclear energy has just increased marginally and its share in the total generation of electricity has dropped by almost half. Several nuclear reactors have been decommissioned in Europe, and the new nuclear plants have been concentrated in a list of very few countries. Many plants became obsolete and were closed without substitution mostly in Europe, while new plants were opened in a few countries, mostly in Asia: first China followed by India, Japan and South Korea. China has constructed 25 nuclear reactors in the last two decades, increasing its electrical capacity by 20 GW. Russia, similarly, built 30 reactors and brought up its share of nuclear energy to 25% of total electricity production, which allowed Russia to keep exporting more oil and gas. Otherwise, most other countries have not experimented much with nuclear energy because of its safety and environmental problems. Furthermore, nuclear fusion has not yet been successful. The ITER tokamak fusion reactor built in southern France by an international consortium (founded by China, Europe, India, Japan, South Korea, Russia and the USA) made its first plasma operations in 2018, with a budget overrun of 80% and two years behind schedule; however, it is estimated that much more research in plasma physics is needed before electricity-producing fusion power plants might become fully operational in two or three decades. This will be an important step, since nuclear fusion is much more efficient than the chemical reactions using standard fossil fuels and it is substantially safer than nuclear fission (nuclear fusion is the energy process of the stars and it combines two hydrogen isotopes, deuterium and tritium, to create helium). However, the technical issues to sustain a controlled plasma interaction will still need a lot of work in the future. 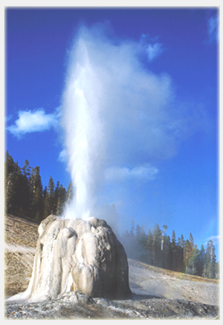 Traditionally, the other main source of electricity generation has been hydropower. However, by 2020, most major dam projects have already been finished, particularly after the inauguration of the Three Gorges Dam in the Yangtze river in China. The Chinese dam was finally completed on 2010, almost two decades after the start of its construction and with a total cost of US$75 billion, making it the most expensive single project in human history. 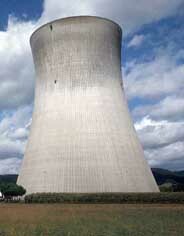 The 26 generators have a combined capacity of 18 GW, which is almost equivalent to the total nuclear power of China. Even though hydropower can not keep increasing worldwide because of lack of more prospective sites, it still represents about 15% of total electricity generation, and a bit less than 5% of total energy production around the world. Besides hydropower, other renewable sources have been growing steadily up to 2020. Solar thermal energy is used in many industrial, agricultural and home applications. 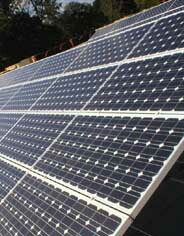 Solar photovoltaic has also grown but it is still twice as expensive as other conventional sources, and it depends so much on weather conditions that it is only used abundantly in isolated or remote locations where there is plenty of sunlight. 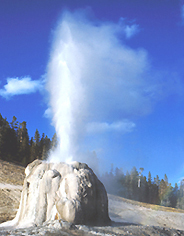 Geothermal and tidal energy has also improved, but it is equally restricted to places that have the required special geological conditions. Solar power has reached 10% in Algeria and geothermal power 15% in El Salvador of total electricity capacity in 2020. There are still huge differences in electricity generation from region to region, going from 90% fossil fuels in the Middle East, mostly oil and gas, to over 70% renewables in Latin America, mostly hydropower and biomass. And in France close to 70% of the electricity is produced by nuclear energy, which it also exports to neighboring Belgium and Germany. On the other hand, countries like Brazil, Uruguay, Paraguay, Norway and Venezuela depend on hydropower for over 80% of their electricity. 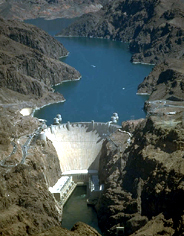 Just like hydropower depends on the local conditions and regional geography, the same can be said about wind, solar, geothermal and tidal power. In some places are very important, but in others they are not possible at all, like hydropower production of over 90% in Norway to close to 0% in the Saharan countries, or wind power from 20% in Denmark to 0% in Singapore. Thus, each energy source is specifically important in its own region, but not everywhere, and large countries like China, India and the USA rely on a variety of multiple sources of energy. Worldwide averages, despite the enormous regional disparities, are over 20% electricity generation from renewable sources: hydropower is close to 5%, closely followed by wind and solar power with 5%, each, and much less than 1% geothermal and tidal power. The rest is now provided by new biofuel sources, both natural and artificial. Renewables have been and will be the sector growing the fastest, led by new sources like biofuels. Traditional biomass consumption will fall with development and urbanization, but it will be substituted by other renewables. Additionally, biofuels have had an enormous growth from close to 0% of total consumption in 2000 to almost 5% worldwide in 2020. Fortunately, thanks to the spread of local, national, regional and global electrical grids, there is a growing balance and compensation in energy capacities around the world. Electrification has continued aggressively, and the “powerless” are now geographically confined and mostly concentrated in Africa and South Asia, but hopefully that will change very soon. In 2018, Rahul Gandhi, the heir of the Nehru-Gandhi political dynasty, became Primer Minister of India and proposed the creation of the Indo-European Electrical Network (IEEN). This was partly motivated by his dreams of connecting his own two worlds, the Indian subcontinent of his father Rajiv and the Italian birthplace of his mother Sonia. Rahul Gandhi signed the agreement with Angela Merkel, then President of the European Union, and construction of the missing links in this energy grid started immediately. By 2019 was completed the southern route that connected India to Europe through the Middle East, which basically followed the ancient paths of the millenarian Silk Road. This southern route also relied on the GCCG (Gulf Cooperation Council Grid) finished in 2012 and the MEDRING (Mediterranean Ring) completed on 2015. The northern route, from India to Europe through Russia, was still in construction in 2020, but it should officially open in early 2021. The success of the IEEN has been so great that other countries quickly want to join now, all the way from Africa to East Asia, including Australia and New Zealand, and these connections are planned for 2022. The complete redundancy and spare capacity of the IEEN are fundamental to its functioning; every part of its decentralized and automatically redistributed electrical mesh has backups and multiple substitutes. Just like the Internet did before for telecommunications, the IEEN has privileged the continuous and reliable electrical interconnections among peoples and nations. 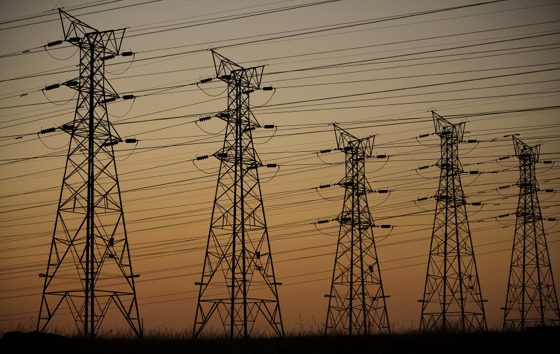 In fact, the new electrical grids are becoming something like an energy Internet. The Americas had already been connected since 2015, when the Pan-American Electrical Grid (PAEG) was completed. In fact, the PAEG was an outgrow of the Pueblo-Panama Plan (PPP) started by Mexican President Vicente Fox in 2006 and finally connecting Mexico to Panama in 2010. The complete electrical links between Mexico and the USA were also finalized in 2011, and Brazil eventually got connected to all its neighbors by 2015. First the PAEG and now the expanded IEEN will achieve the dream of connecting all humanity when the electrical grid is finally closed between Siberia and Alaska in 2023. This will be a major advance for the whole planet and will bring reliable electricity to every corner in every continent. The ideas of visionary thinker Buckminster Fuller and his Global Energy Network will soon be realized, and this will bring more contacts and more exchanges between all the nations, while reducing and almost eliminating the fear of conflicts in a totally interconnected and interdependent world. In fact, Buckminster Fuller spoke of playing not “war games” but “world games” to bring peace and prosperity to every nation on Earth. Electrification has brought development to the poorest parts of the world and the continuous acceleration of growth in a globalized world. This created a virtuous cycle of energy increase and economic development. Another piece of big news in the energy industry has been the impressive growth of many forms of “bioenergy”, which originally started with bioalcohols in the 1970s and biodiesels in the 1990s. Bioalcohol, or commonly just called ethanol for its main chemical component, has grown from almost nothing in 1980 to 20 billion liters in 2000 and almost 200 billion liters in 2020, that is, close to 20% of the total car gasoline market in the world today. Similarly, biodiesel has grown from about zero in 1990 to 1 billion liters in 2000 and around 30 billion liters in 2020, which is almost 2% of the total diesel consumption in the world. 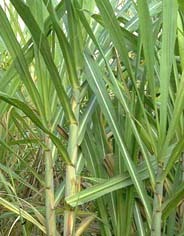 The bioalcohol or ethanol industry started in Brazil after the oil shock in the 1970s. It had a first successful phase during the 1980s with the introduction of the first ethanol engines, but it slowly decayed in the 1990s with the decrease of oil prices. However, it had a major revival in the early 2000s with the appearance of the first flexible fuel cars. The flexi-fuel engines could use gasoline, ethanol or any mixture in between. Additionally, by the time that the first flexi-fuel cars appeared, all gasoline sold in Brazil had between 20% and 25% alcohol added to it, and it had an equivalent price to gasoline. Ethanol and flexi-fuel cars made Brazil stop importing gasoline and start exporting bioalcohols in 2005. By 2010, all new cars sold in Brazil had flexi-fuel engines, and ethanol became one of the major Brazilian exports, mostly to Japan and other Asian countries. 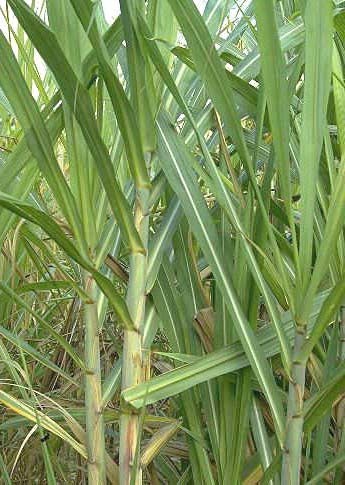 Brazil produces ethanol from sugarcane, and it has substantially increased its yield from 300 m3/km2 in 1980 to 550 m3/km2 in 2000 and 900 m3/km2 in 2020, thanks to biotechnology that has now made ethanol 20% cheaper than oil. The USA started a similar program in the 1990s but based on corn, first in Minnesota and other corn-belt Midwest states. Minnesota had 10% ethanol in all its gasoline and 20% was required by law beginning in 2013. Soon other states followed. In Europe, E85 fuel (a mixture of 85% ethanol and 15% gasoline by volume, also called sometimes bioalcohol BA85) was doing well in Sweden and quickly spread through much of Europe. However, higher costs in Europe and unavailability of more land have impeded a faster substitution of gasoline. Biodiesel started in Europe where there was an important fleet of diesel vehicles, and it could be produced from soybeans to rapeseed, including algae. India started a very successful pilot plan in 2006 to produce 10 million liters of biodiesel in 8,000 hectares of marginal wasteland with Jatropha curcas, which is a non-edible oil crop that is drought resistant. The experiment was so successful that BP and TERI (The Energy and Energy Resources Institute) started commercial production in 2016 after increasing 400% the yield per hectare thanks to biotechnology. The biodiesel started as a cheap alternative for the typical Indian three-wheeler, diesel motor rickshaws and now is beginning to be exported; however, there is a limit to such exports since India has little marginal land and it needs its arable land for food production. Transportation (by land, air or sea) still consumes about 20% of the total energy supplied worldwide and about 60% of the oil produced. That is why the advance of biofuels has been so important, particularly with car ownership rising tremendously around the world. For example, in China there were mostly bicycles in 1980, but 10 million private cars in 2000 and almost 80 million cars in 2020, which is still very low since that represents only 6% of cars per person in China versus 80% in the USA (that is, 260 million cars in the USA). The Chinese growth has been incredible, however, and it will soon be replicated by other countries moving up the economic development ladder. Thanks to its rapid growth, China has positioned itself as the most efficient producer of the most efficient cars in the planet. China now produces over 10 million cars per year, almost as many as Europe, Japan or the USA. Nonetheless, the Chinese are the most energy efficient cars with mpg (miles per gallon) ratings of over 100. China copied the flexi-fuel cars from Brazil and combined them with the hybrid cars (gasoline-electric vehicles, which use gasoline and electric batteries to power internal-combustion engines, ICE, and electric motors) from Japan to create the hybrid flexi-fuel cars also able to run on electrical energy with nanobatteries. The USA created the CAFE (Corporate Average Fuel Economy) regulations in 1975 and slowly increased the standards for normal engines to achieve 25 mpg by 2000, when the first Japanese hybrid cars by Toyota reached 50 mpg (and all Toyota cars sold after 2012 were hybrid with 60 mpg or more). Additionally, the Brazilian cars of the early 2000s added the possibility of combining different fuels in variable mixtures since the engines had internal control mechanisms to adequate their functioning to changing fuel conditions, well the first European commercial electric cars transformed chemical energy stored on the vehicle in batteries. Well, in 2015, the Chinese created the first sophisticated electrical engines with nanobatteries for hybrid cars with flexi-fuel engines. Now these “electric-flex-hybrid” cars (or simply EFHs) have become a major export from China and GM (Guangzhou Motors, the main manufacturer in Guangdong province) expects to keep developing better batteries thanks to the continuous breakthroughs in nanotechnology to reach 120 mpg by 2022 (and some experts also expect to incorporate fuel cells to these cars once their costs come down enough). The new cars are not only cheaper but also run on any possible combination of biofuels and electricity, reduce substantially the fuel emissions and will be able to plug anywhere along the energy “Internet” by 2024. The Chinese EFHs are revolutionizing the world in the 2020s even more than the Ford Model T changed the USA in the 1910s. Thus, plants use light and some simple chemical molecules to create carbohydrates, or hydrocarbons with oxygen (carbohydrates are really nothing more than hydrocarbons plus oxygen). Additionally, about 114 kilocalories of free energy are stored in plant biomass for every mole of CO2 fixed during photosynthesis. Solar radiation striking the earth on an annual basis is equivalent to 174,000 Terawatts (which is several thousand times the current global energy consumption) and only part of this light is used for photosynthetic energy capture (see Table 2). Approximately two thirds of the net global photosynthetic productivity worldwide is of terrestrial origin, while the remainder is produced mainly by phytoplankton (microalgae) in the oceans which cover approximately 70% of the total surface area of the Earth. Since biomass originates from plant and algal photosynthesis, both terrestrial plants and microalgae are appropriate targets for biomass energy production. Plants do it, most algae do it too, and even some very plain bacteria can fix carbon dioxide and water to produce carbohydrates and oxygen under the influence of light. In fact, many simple cells can do photosynthesis and similar biochemical processes. Making hydrocarbons is one of the simplest biological processes, as a famous report by the UN Food and Agricultural Organization explained late last century. Hydrocarbons are not complicated molecules with thousands of atoms and dozens of elements, like proteins and enzymes; they are just small molecules with two of the most common elements on Earth: hydrogen and carbon. Surprisingly enough, it took many scientists and many years to artificially create the first commercial hydrocarbons, and not from fossil fuels. Craig Venter, one of the biologists who sequenced the human genome in 2000, founded later a company whose purpose was precisely to create life. In fact, Venter famously said that he spent 20 years of his life trying to “read” life, and that he would expend another 20 to “write” life. His company Synthetic Genomics was one of the pioneers dedicated to using modified microorganisms to biologically produce alternative fuels like ethanol and hydrogen. In fact, some other such enterprises followed soon, and the first artificial life forms, virus and bacteria, were created in 2003 and 2005, respectively. One of Venter’s research associates, Mohan Kapoor from India, was the first who managed to create artificial bacteria to economically produce hydrocarbons in 2018. He had been working since 2015 with Clostridium acetobutylicum and other bacteria until he managed to tailor-made a new hybrid organism that efficiently produced hydrocarbons from carbon dioxide and water under controlled lighting. Clostridium acetobutylicum is a commercially valuable bacterium, sometimes called the “Weizmann Organism”, after Chaim Weizmann who in 1916 helped discover how Clostridium acetobutylicum cultures could be used to produce acetone, butanol and ethanol from starch using the ABE (Acetone, Butanol, Ethanol) process to enable industrial purposes such as gunpowder and TNT production. The ABE process was an industry standard until the 1950s when low oil costs drove more efficient processes based on hydrocarbon cracking and petroleum distillation techniques. C. acetobutylicum also produces acetic acid (vinegar), butyric acid (a vomitous smelling substance), carbon dioxide and hydrogen. Mohan Kapoor called his new bacteria Petroleum artificiali and started a marketing test last November, 2019. It is expected that his bacteria that “eats” carbon dioxide and “drinks” water under light, 24 hours a day, in order to “excrete” hydrocarbons will truly revolutionize the world. Not only will it produce hydrocarbons, continuously, but it will also capture carbon dioxide and generate free oxygen and energy. If there are no major problems, production of new fuel excreted by Petroleum artificiali will become financially viable in 2021 and will take care of the carbon sequestration problem. Additionally, other scientists are now working or more specific bacteria to generate ethanol, methanol and pure hydrogen. This will eventually allow to artificially produce all kinds of biofuels according to the specific needs and trying to get the best fuel value or relative energy density (that is, the quantity of potential energy in fuel, food or other substance, see Table 1). Some fundamentalist ecologists have started to complain that a full environmental analysis has to be performed in such artificial beings, since they could destroy the delicate balance on Earth. However, the public is realizing that this is nothing more than a new scientific breakthrough, like the “green revolution” that increased agricultural yields and avoided million of Indians from starving in the 1970s. More recently, the new bacteria can be compared to the biologically engineered Chinese chicken wings grown directly from chicken stem cells in 2014 without the need to actually reproduce a whole chicken to be killed later for its wings and other body parts. Or the Japanese Kobe beef produced genetically from premium cow cells in 2015 without having to grow cattle to be later slaughtered. The “chickenless” Chinese chicken wings and the “cowless” Japanese Kobe beef are also over ten times cheaper to produce and totally avoid any risks of animal problems, including Avian flu or mad cow disease, respectively. Both of these products have been massively and successfully produced by GM2 (Guangzhou Meats 2, the main “meat creator” in Guangdong province) for worldwide exports since 2016. In fact, even McDonald’s advertises its new “cowless” hamburgers based on ethical grounds, since they don’t butcher any animals and the hamburgers are much cheaper and nutritious than the non-genetically produced ones. The other important cells for energy are the fuel cells for converting the biofuels into energy. Fuel cells were first industrialized during the 1960s by NASA in order to generate electricity for the Apollo missions, and they were later used in the space shuttle and International space station. Fuel cells are very high efficiencies in converting chemical energy to electrical energy since they not constrained by the maximum Carnot cycle efficiency as combustion engines are. A combustible fuel reacts with oxygen in a fuel cell to transform chemical energy into electricity with efficiencies of more than 60% today. Fuel cells can be used anywhere, in homes, industries, cars or even rockets. They can also use many types of fuels, from pure hydrogen to landfill waste, in order to produce electricity. 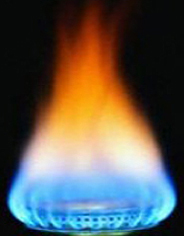 If pure hydrogen is “burnt” with oxygen, then water is the only emission. If hydrocarbons are used, then carbon dioxide is also produced; and the more carbonated the hydrocarbons are, the more carbon dioxide will be emitted. The problem with fuel cells is their high cost, which has been reduced but it is still elevated in 2020. Nanotechnology is currently being used to try to lower the manufacturing costs of fuels cells, just like it was done with nanobatteries after 2015. Additionally, the fuel costs of using hydrogen combustible with fuel cells have come down from 8 cents per mile in 2000 to 3 cents per mile in 2020, but that is still 50% more than the fuel cost of hybrid flexi-fuel internal combustion engine (ICEs). With other hydrocarbon fuels, the cost of using fuel cells and ICEs are comparable, and that is why the Chinese EFHs do not use pure hydrogen as fuel. However, the cost of the fuel cell itself is still elevated and their disposal is dangerous since they are highly contaminant, but fuel cells convert energy with over 60% efficiency versus 20% for ICEs. Ethanol is an excellent combustible, since hydrogen-rich fuels like methanol or ethanol (methane hydrate, natural gas, gasoline, diesel and even gasified coal), just produce heat and water, plus some carbon dioxide depending on the hydrocarbon molecular weight. Hydrogen is the most abundant element on Earth. It is the basic component of water, not to mention virtually every fuel ever used by humankind, wood, oil, coal and natural gas, all of which are made of hydrocarbons. Pure hydrogen, however, does not occur naturally: hydrogen must be harvested using electrical or chemical processes, which have their own hidden environmental consequences; besides, hydrogen is only an energy carrier and it has to be produced from water or hydrocarbons. Obviously, using renewable resources to power those processes could vastly reduce the environmental footprint of hydrogen production, but today, producing hydrogen costs several times more than using conventional fuels. Iceland has made a major effort to become the first “hydrogen economy” in the world, since the start of this century, and its advances are notable by 2020. Nonetheless, Iceland is the special case of a country with over abundant and readily available hydroelectric and geothermal energy that can be used to produce hydrogen as a carrier or storage of energy for later use. The hydrogen produced in Iceland is mostly for transportation since, for other activities, it is more convenient to create electricity directly, without intermediaries (just like making Japanese Kobe beef without the intermediate step of the cow). The hydrogen for cars is later used by the fuel cell to transform its chemical energy into electric and mechanic energy to drive the car. Hydrogen has not become the main energy source, as dreamed by George W. Bush in the early 2000s, because it is costly to produce, dangerous to store, difficult to transport, tricky to distribute and its volumetric energy intensity is much lower than that of other liquid fuels like ethanol or gasoline. Safety would be another problem and it would be an enormous job, and would take many years, to accomplish the logistics and infrastructure changes required by moving from standard liquid fuels to hydrogen. The new space race has also had some very important consequences for the energy sector. The Chinese landed in the Moon in 2015 as promised, and the Russians finally followed one year later after all their original advances in the 1950s and 1960s. A combined European, Japanese and US manned mission also landed in 2017. A Moon base called Luna 1 was started in 2019 and Nikolai Sevastyanov, Honorary President of RKK Energiya, just announced the plans to begin mining the moon to bring helium 3 (He 3) to Earth is the Russian Kliper spacecraft. According to Sevastyanov, there is enough helium in the Moon to power all human needs for at least a century. Indeed, the binding energy of helium is much higher than nuclear fission, and even nuclear fusion (see Table 1). However, the space race has opened new and easier sources like space solar power satellites. The Japanese have been experimentally using robotic “spiders” to build large-scale structures in space for over 10 years. The tiny mechanical spiders inch their way across large nets of fabric in space performing small tasks or lining up to create an antenna or some other structure. The concept is known as a Furoshiki satellite after the Japanese word for a cloth used to wrap up possessions. It has recently been revolutionizing satellite-based applications such as telecommunications, navigation and Earth observation using radars, by providing cost effective large antennas in space that can be launched on relatively small rockets. More importantly, the Furoshiki spacecraft could be a viable way to create large space solar power satellites to then beam the energy to the Earth. In fact, the amount of energy received from the Sun in the Earth’s atmosphere is enough to power one thousand civilizations like ours. That kind of energy is what was called a Type I civilization in the energy scale devised by Russian astronomer Nikolai Kardashev in 1964 (see Table 2). A Type I civilization is one that is able to harness all of the power available on a single planet (in our case, Earth specifically has an available power of 174 x 1015 W). A Type II civilization is one that is capable to harness all of the power available from a single star (approximately 386 x 1024 W for our Sun), a Type III civilization will be able to harness all of the power available from a single galaxy (approximately 5 x 1036 W for the Milky Way, but this figure is extremely variable since galaxies vary widely in size). Additionally, a Type IV civilization will have control of the energy output of a galactic supercluster (approximately 1046 W) and a Type V civilization will control the energy of the entire universe (approximately 1056 W). However, such a civilization approaches or surpasses the limits of speculation based on current scientific understanding, and may not be possible. Frank J. Tipler’s Omega point would presumably occupy this level. Finally, some science fiction writers talk about a Type VI civilization that will control the energy over multiple universes (a power level that is technically infinite) and a Type VII civilization that will have the hypothetical status of a deity (able to create universes at will, using them as an energy source). Table 2 shows the power in watts produced by various different sources of energy. They are grouped by orders of magnitude, or a factor of one thousand in each group. According to Kardashev, our civilization is still at Type 0, but might reach Type I in the 22nd century. 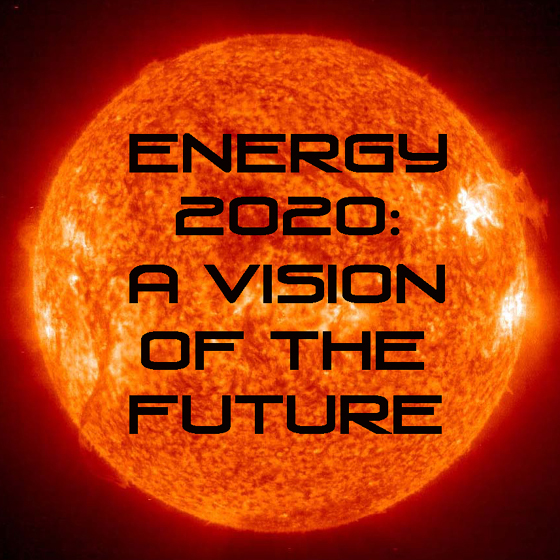 However, in the year 2020, we know that we still have available a variety of resources to create a diversified energy matrix depending not on one single energy source but on a mixture of alternatives, at least during this critical transition period. The Earth, the Sun, the Galaxy and the Universe have more than enough energy resources to power our civilization for the following decades, centuries and millennia. With enough technology, it is basically a matter of costs and priorities. Converting the energy resources into available supplies can be done, but it will certainly take massive investments and lots of imagination, creativity, science and engineering. All resources are obviously finite, but some are almost potentially inexhaustible even with an accelerating population and rapid technological consumption. Methane hydrate, hydrogen, helium, nuclear fusion, solar, mass-energy conversion and antimatter fuels are all eventually possible. Our civilization is still in its infancy, and barring any wild cards, geopolitical crisis, environmental disasters or extraterrestrial contacts, technology will keep pushing off the limits to growth. 1. Above is an image of the wormhole that was used to transmit this report from the future. The wormhole was only a hydrogen atom wide and held together by a cosmic string but that was more than enough to handle the photon packets sent through it. 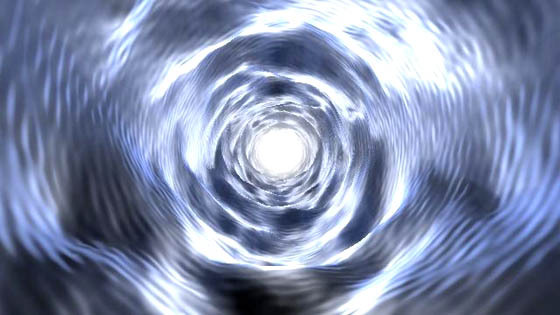 Learn how we designed the wormhole!